My shock at his words spewed out automatically. I looked at him and asked, "Did you just say he was beat by a girl?" Immediately my friend recanted. He himself didn't know where that comment came from. He felt badly and that was that. But days and weeks later, I couldn't forget it. Something truly bothered me. 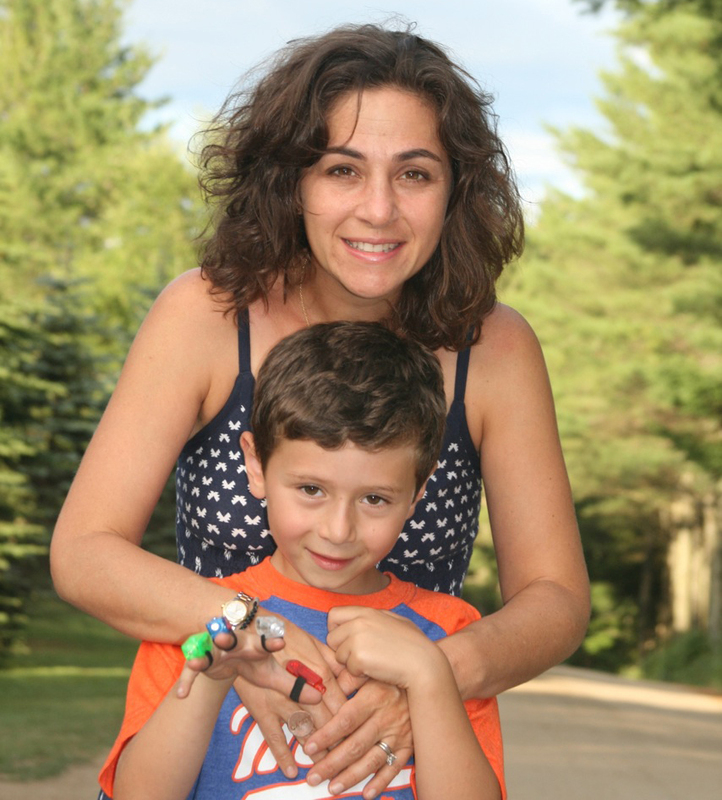 Recently, after my son lost a race, a friend said to him, "You were beat by a girl." I was stopped dead in my tracks. The man who said this is probably the least likely person to perpetuate outdated gender roles. He is a stay-at-home dad who does laundry and dishes and is a class parent. And yet, he still said it. My shock at his words spewed out automatically. I looked at him and asked, "Did you just say he was beat by a girl?" Immediately my friend recanted. He himself didn't know where that comment came from. It was probably a remnant from a childhood schoolyard. He felt badly and that was that. But days and weeks later, I couldn't forget it. Something truly bothered me. My husband and I try to teach our kids to accept all kinds of people. We talk about discrimination and bias. We surround ourselves with people of color, different religions, successful women and men working outside the box. We show them that mommy can be a doctor (PhD) and dad can paint his toenails. However, it hit me that my kids are still getting discriminatory and gender stereotyped messages all the time. No matter how hard I try to open up their world of possibilities, someone is trying to close it. This should not be a shock to me. I know there is plenty of gender bias and discrimination out there. I know that women are still paid less than men. I know that women are underrepresented in congress and at the top of most corporate jobs. I myself have had my share of discrimination at work. When I was growing up, my sister and I listened to Marlo Thomas' Free to Be You and Me until the record wore out. The lessons were profound: Women could do anything. They could become doctors or engineers, and didn't have to do housework. I was raised by a working mother who showed me I had no boundaries or glass ceilings. Free to Be You and Me also taught me that "real men" could cry, they could like dolls, and want to take care of children. Marlo Thomas, along with her friends, changed my life. When my daughter was born I immediately bought her the video of Free to Be You and Me. We watched it for years. I still loved it but now it felt outdated. Did my daughter really need these lessons like I did? Sadly, four decades later, maybe not as much as I had hoped has changed. Maybe all the same gender stereotypes are there, but they're more insidious. You have to look harder, making them all the more challenging to attack. This incident has made me realize that I have to be more explicit in my direction of my kids. It isn't enough to be a good role model. It isn't enough to have my daughter see successful women or enough for me to buy my son a kitchen to play with. The conversation needs to happen and it needs to happen often. If I want to counteract all of the messages that my kids see every day, then I need regularly to talk about what gender roles are, why they are hurtful and empower my kids to shun them. Last year The Children's Place produced a girls' T-shirt that had a checklist. 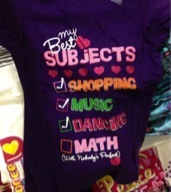 It read, "My best subjects are: shopping, music, dancing and math." But only the first three subjects were checked. Math remained unchecked with the parenthetical saying "Well, nobody's perfect." It was horrifying. I took the opportunity to discuss it with my daughter and she got it. 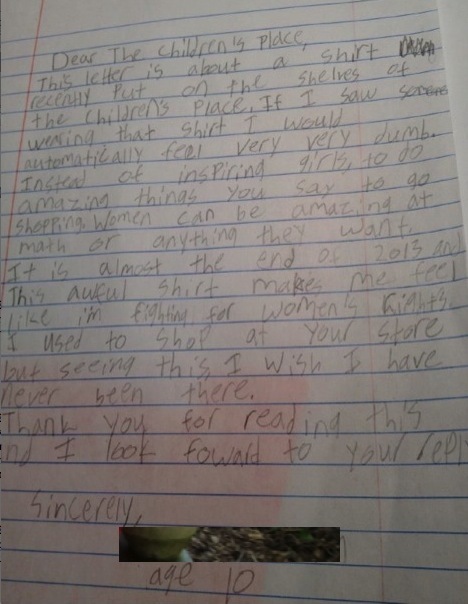 She was inspired to write a letter to The Children's Place and she decided to no longer shop there. I was so proud. Eventually, as a result the backlash, the store remove the shirt from the shelves. I thought, great, mission accomplished. However, clearly, we as a society cannot sit back and try to sporadically fight to change gender bias. Our work isn't done yet. It won't be done until no one even thinks girls can't do math or that it is shameful for a boy to be beaten by a girl. I do believe that we can accomplish this. I am hopeful because if I weren't I would sink into despair. I will take this reminder to redouble my efforts. I hope you will, too.